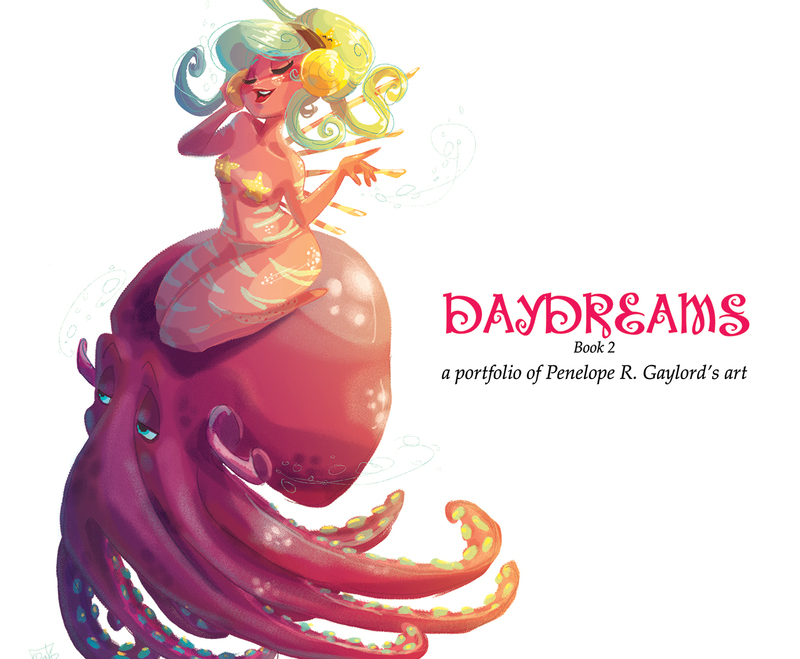 made for the con season 2018 and debuted at CTN Expo 2017, DAYDREAMS Book 3 is my mini portfolio book that i will be bringing with me to comic conventions in 2018. it has tons of concept sketches for character designs and pinups, as well as some finished illustrations. Price is $22 - SOLD OUT! TO BUY - etsy.com/shop/PengPengArt - SOLD OUT! 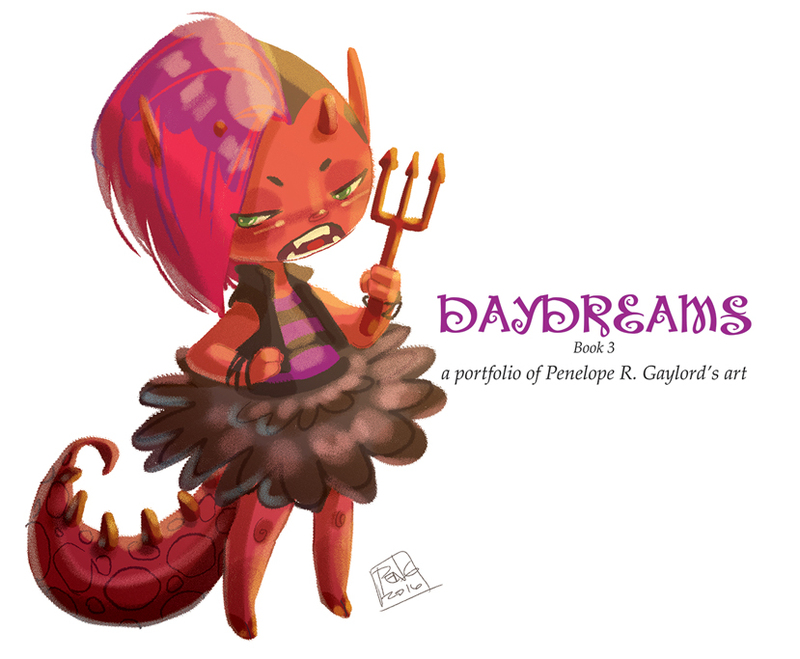 made for the con season 2017 and debuted at CTN Expo 2016, DAYDREAMS Book 3 is my mini portfolio book that i will be bringing with me to comic conventions in 2017. it has tons of concept sketches for character designs and pinups, as well as some finished illustrations from 2016. this is the first art book that will be available on my Etsy shop. Price is $25 - SOLD OUT! TO BUY - SOLD OUT! 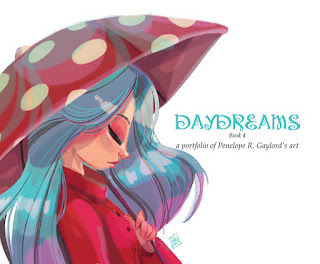 made for CTN Expo 2015 and the con season of 2016, DAYDREAMS Book 2 is my 2nd mini portfolio. it has all sorts of character designs and exploratory sketches of my current work. this is bigger than my Art Mignon books. these have a very limited run and i will only have them until i run out. if i sell them on my Etsy shop, i will update here. for now, please email me or find me at a comic convention near you! Price is $30 SOLD OUT! made for CTN Expo 2014 and added more pages for con season of 2015, DAYDREAMS is a mini portfolio of my current work. 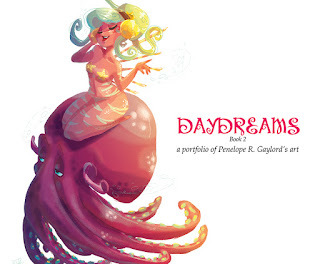 there are 36 full-color pages of pin-ups/illustrations and lots of sketches. this is bigger than my Art Mignon books. these have a very limited run and i will only have them until i run out. i'll even draw a little headsketch in the back if you buy one! Price is $20 SOLD OUT! 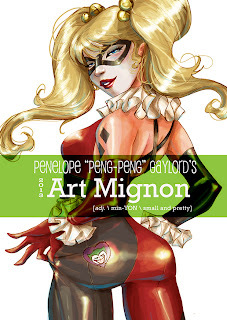 made for 2013 con season, this latest Art Mignon has brand new pieces that were not in any other artbooks previously released. these have a very limited run and i will only have them until i run out. there are 24 pages of full color commissions and pinups, sketch card work, inked pages of Fanboys Vs Zombies, and sketches straight out of my sketchbook. Price is $15 - i can take Paypal payment SOLD OUT! TO BUY - just email me at penelope@identitycomics.com SOLD OUT! released for San Diego Comic Con 2012, this is just a small collection of my work that features some pieces that were not in any of my other artbooks. this is a very limited run and i'll be carrying it with me to other conventions this year until i run out. once i'm out, i won't be printing any more. it's 24 pages in full color which includes commissions and pinups as well as some sketch card work i've done very recently. Price is $15 - i can take Paypal payments SOLD OUT! Price is $30 - i can take Paypal payments (**Special Price is $20 - see above for eligibility) SOLD OUT! Identity Comics Studio's The Brotherhood of Fighters:Behind the Cage was just released at New York Comic Con 2011. It's 65 pages of concept design and art for our studio's big comic project The Brotherhood of Fighters. 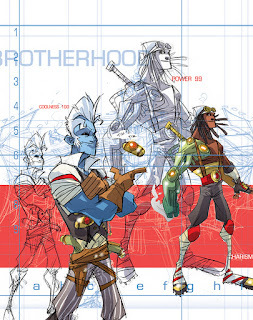 It also includes short stories previously released as well as a one-shot called The Brotherhood Chronicles. It includes art from all the members of Identity Comics Studio. 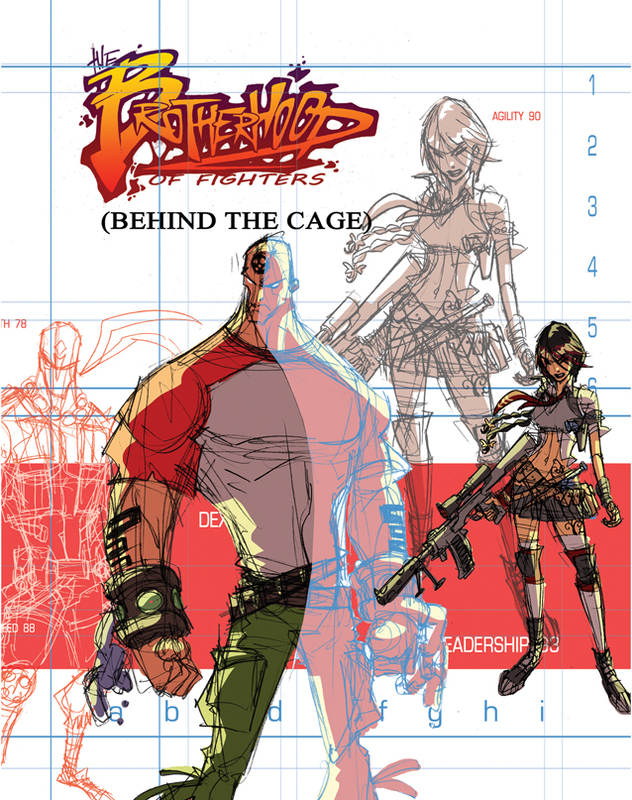 PLUS you get a FREE quick sketch of a Brotherhood of Fighters character inside with purchase. Price is $30 (i can take Paypal payments) SOLD OUT! released for San Diego Comic Con, 2011 Mini Hot Cakes is my first solo artbook. it has pin-ups/illustrations, sketchcards, and convention sketches inside a nice mini serving. 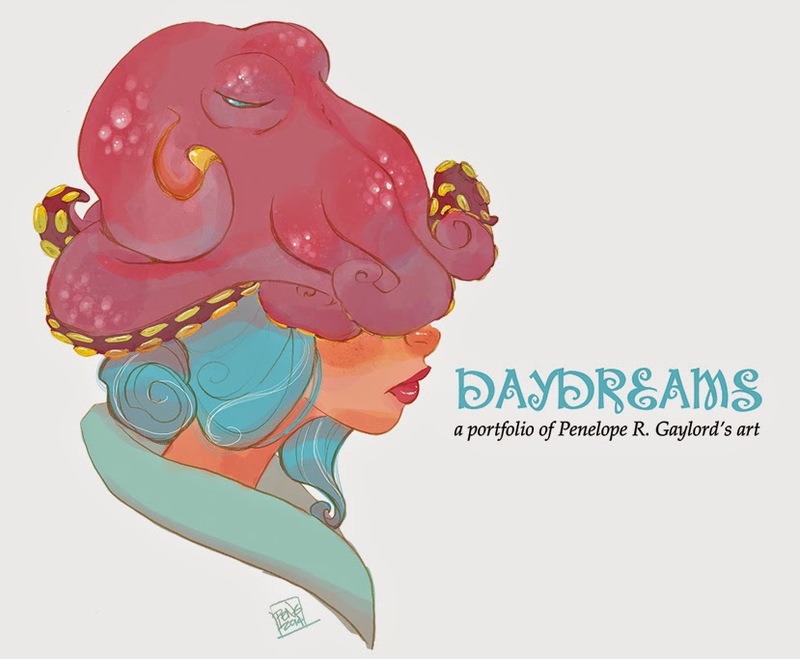 it has 28 colorful pages and comes with a FREE quick headsketch on the back of any character you want with purchase. Price is $10 (i can take Paypal payments) SOLD OUT!